The International Society for Archeology, Art and Architecture of Rome (ISAR) is an Italian non-profit organization born with the goal of promoting the study, conservation, and improvement of the cultural heritage of Rome. ISAR’s mission is to offer its own contribution to the research and promotion of the City’s heritage through the organization of research, training courses, seminars, conferences, and publications in the fields of architecture, archaeology, history of art, and Roman culture. The staff of ISAR is composed of archaeologists, architects, art historians, restorers, and cultural heritage professionals, both Italians and foreigners, most of whom are permanent residents of Rome. In addition, ISAR regularly organizes meetings, lectures with invited scholars, professors, officials and members of foreign institutions from around the world. Thanks to a multidisciplinary and dynamic approach, ISAR is able to offer its supporters and participants excellent opportunities for training and research in addition to providing a network of contacts in the world of Roman studies and archaeology. An international organization where research, didactics, exploration, and dissemination meet – ISAR will become a key player in the field of cultural heritage studies and preservation for ancient Rome. By recognizing the importance of Rome’s ancient heritage for Italy’s capital and the cultural grounding of the Western world, ISAR will serve as a key advisor in the multidisciplinary discussion surrounding the future of the City’s past. 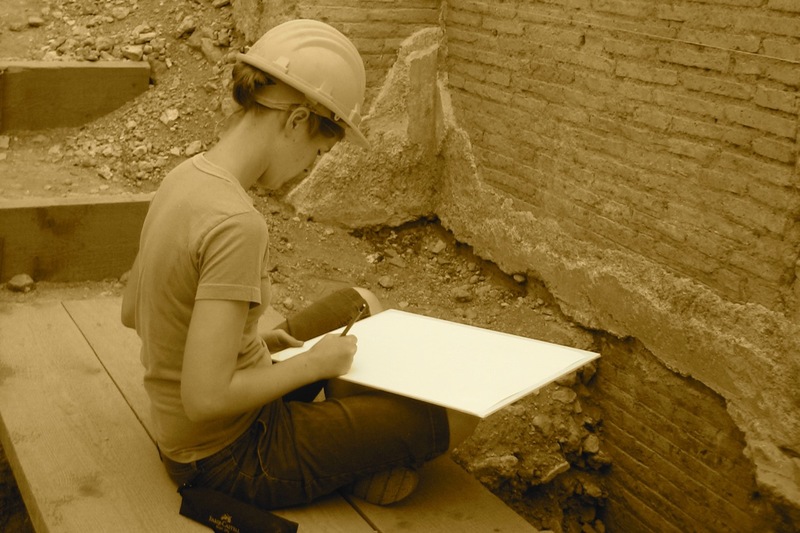 Rome as an ideal laboratory for sustainable cultural heritage and ISAR is focusing its efforts on promoting sustainability through excavations, surveying, archiving, and conserving cultural sites and artifacts. ISAR envisions a form of “cultural tourism” that gives back to the places on which it thrives and aims to bring its participants into contact with local culture in a way that supports and sustains it, offering a singular opportunity for cultural and social growth. 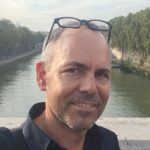 A graduate from the Rome University “La Sapienza”, for over twenty five years Cirone has directed stratigraphic investigations in urban and suburban sites in Rome and around Italy. Since 1993 she has served as an expert in analysis and conservative restoration for archaeological and architectural projects carried out in various parts of Italy. In particular Cirone’s work has focused on the analysis and assessment of vulnerability and the risk to cultural heritage sites, part of larger Italian Cultural Heritage Risk Charter managed by Central Institute for Restoration. She has co-directed international research projects in Rome at the Post Aedem castoris (Roman Forum) Project and the Villa delle Vignacce Project and, since 2007, has served as co-director of the international ‘Borgo Abruzzo’. project. For many years Cirone has been involved in educational and cultural dissemination for university students, both Italian and foreign, as well as for professionals (architects, engineers and restorers) in specialized courses on behalf of Rome University “La Sapienza” and University Tor Vergara. She has also worked with numerous private and state organisations and for various cultural associations. Cirone has multiple scientific publications to her credit: click here. De Cristofaro studied at Rome University Tor Vergata and the Rome University “La Sapienza”, receiving a PhD in “Classical Antiquities and their Fortune.” He specializes in Preventive Archaeology and, for over fifteen years, has directed stratigraphic excavations in urban and rural areas in Rome and elsewhere in Italy. He has participated in several international research projects (Post Aedem Castors in the Roman Forum, the Ostia Synagogue Project, and the Villa delle Vignacce Project), carrying out research and teaching activities. In 2008, he founded the publishing house IUNO, specializing in archeology and art history texts. For many years he has carried out educational activities and cultural dissemination for associations, corporations, and private groups. Among his main fields of interest are the Topography of Rome and its Suburbs, Roman and Etruscan-Italic Archaeology, the History of Ancient Art, and the History of the Classical tradition. De Cristofaro has numerous scientific and popular publications and participation in national and international conferences to his credit: click here. A classical archaeologist who graduated from the University of Rome “La Sapienza”, with a degree in Surveying and Technical Analysis of Ancient Monuments and a specialisation in Social Museology from the same university. Di Mento has directed excavations and research in the area of Rome, Lazio and Southern Etruria for over 20 years. Since 2004 she has collaborated with the Institute for the Study of Antiquity and Christian Origins at the University of Texas at Austin, dealing with the teaching and study of ceramic finds from the excavations at the Synagogue of Ostia Antica. Between 2005 and 2008 DI Mento had a cooperative agreement with the National Research Council as part of the international project for the construction of the Virtual Museum of Baghdad. Since 2009 she has coordinated a multidisciplinary research project on the Jewish catacombs of Rome and in particular those in Monteverde, curating, in agreement with the Superintendence for Archaeological Heritage of Rome, the publication of the first results in a volume entitled “The Jewish Catacomb of Monteverde: Old Data and New Discoveries,” which led to a specific course on the subject on behalf of the Province of Rome. 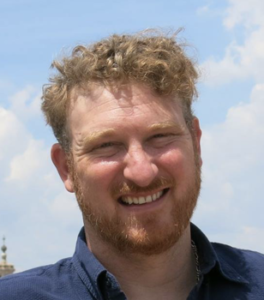 Matthew received his PhD in Roman Archaeology from the University of Leicester (UK) in 2017. His thesis, ‘The Growth and Extent of Rome: From Fringe to Suburb’, used models and theories from economic geography and complexity science to re-assess, and uncover correlations between, the physical, economic, and demographic growth of the City from the Archaic to the late Imperial period. This thesis will be published by Routledge as a monograph in their series ‘Studies in Roman Space and Urbanism’. While at the University of Leicester Matthew taught on a number of modules at both the undergraduate and postgraduate level, giving lectures on a wide range of topics including landscape archaeology, the Roman economy, maritime archaeology, Roman villas and gardens, early Christian churches, and the sustainability of ancient food systems. He has presented his research at numerous international conferences and has published several peer-reviewed papers. Since 2005 Matthew has worked on a number of excavation, survey, and material studies projects in and around the city of Rome, holding a supervisory role on multiple occasions. He is also the chair of the Theoretical Roman Archaeology Conference (TRAC) standing committee and a member of the editorial board for the recently launched, Open-Access Theoretical Roman Archaeology Journal.